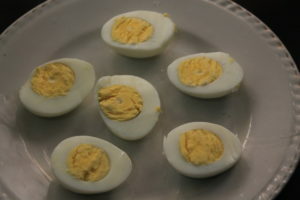 Today’s recipe is ‘Deviled Eggs’. 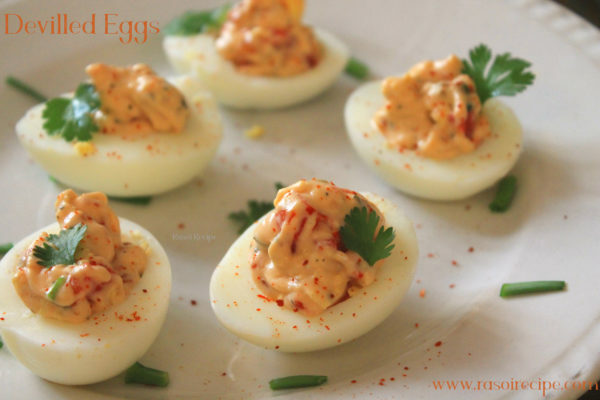 It is basically a stuffed eggs recipe, which is also known as Russian eggs or dressed eggs. 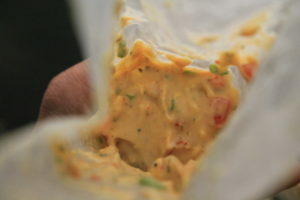 You can pack this in your kid’s lunchbox or can serve it as a breakfast or snack for the family. 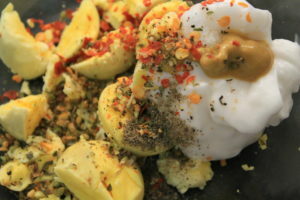 boiled eggs, mayonnaise, mustard sauce, black pepper crushed, tomato (finely chopped), spring onions green, green chillies (chopped), salt, red chilli flakes, oregano. 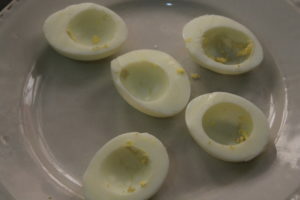 For this recipe, first you need to hard boil eggs, then carefully divide them into two equal halves. 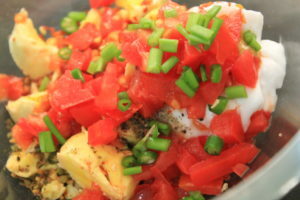 Remove egg yolks gently, mash it and add all the ingredients nicely. 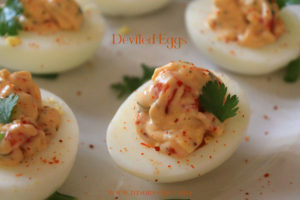 Deviled Eggs - A stuffed egg recipe in which egg is dressed with a paste of yolk, mayonnaise and mustard sauce paste which are mixed with spices and veggies. 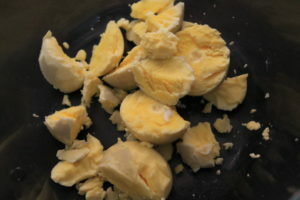 Remove from shell carefully, cut eggs in two equal halves. 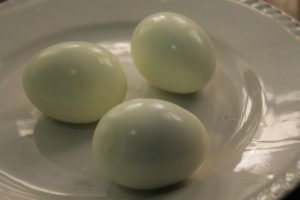 Gently remove egg yolk from the eggs in a bowl. 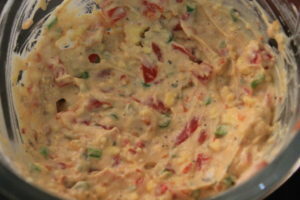 Add mayonnaise and mustard paste in the bowl. Add all the dry spices and veggies in the bowl. 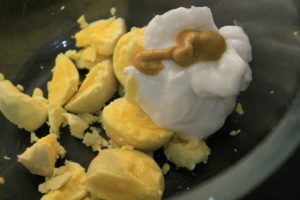 Mix well to form a paste of egg yolk and all the ingredients. 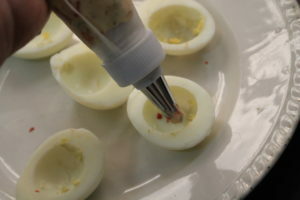 With the help of a piping bag, again fill the egg white. 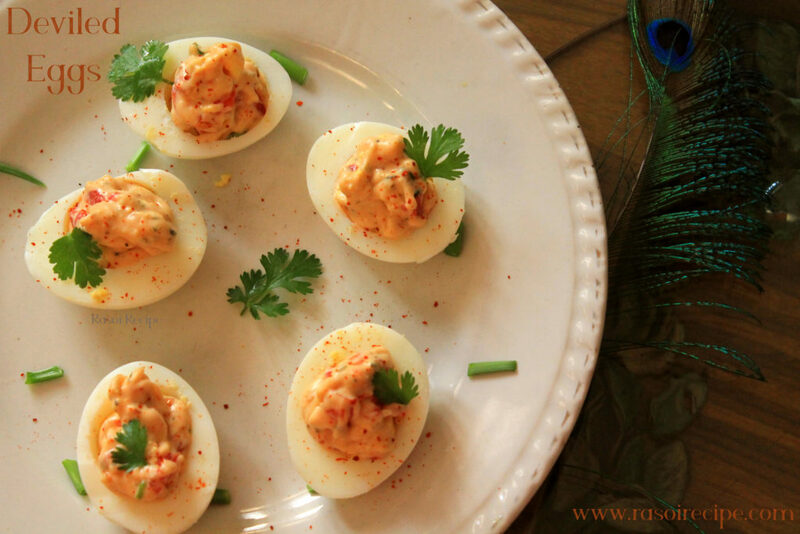 Garnish with coriander leaves and paprika powder. Serve immediately!